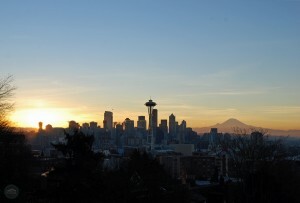 If you didn’t do too much partying on New Year’s Eve (or even if you did), here’s an awesome idea for you: watch the New Year’s Day sunrise in Seattle from Kerry Park. Tove and I brought in the New Year with the annual fireworks show at the Space Needle, and then we decided to watch the New Year’s Day sunrise in Seattle a few hours later. 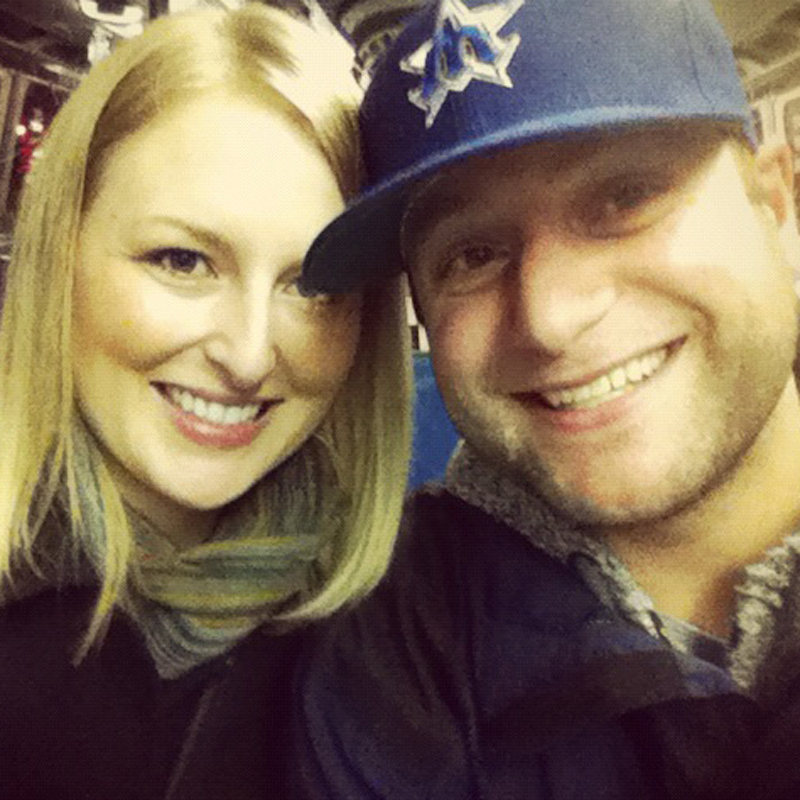 It was an incredible way to jump-start a brand new year! Mother Nature definitely needs to cooperate for this to work. Although the whole ” it rains all the time” thing is exaggerated, it’s also not always perfectly clear on New Year’s Day in Seattle. Keep your eyes on the forecast. 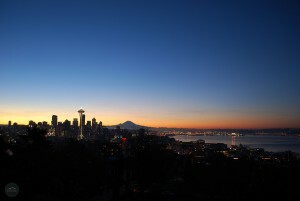 If it’s clear; the New Year’s Day sunrise in Seattle is breathtaking (especially from Kerry Park). 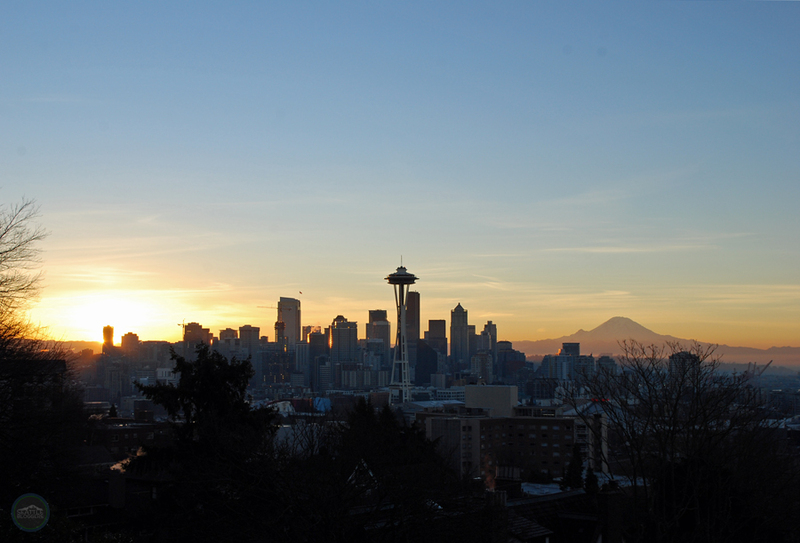 When Tove and I went to Kerry Park on New Year’s Day 2015, sunrise was scheduled for 7:57am. That obviously changes by year, but that should at least give you a time frame. 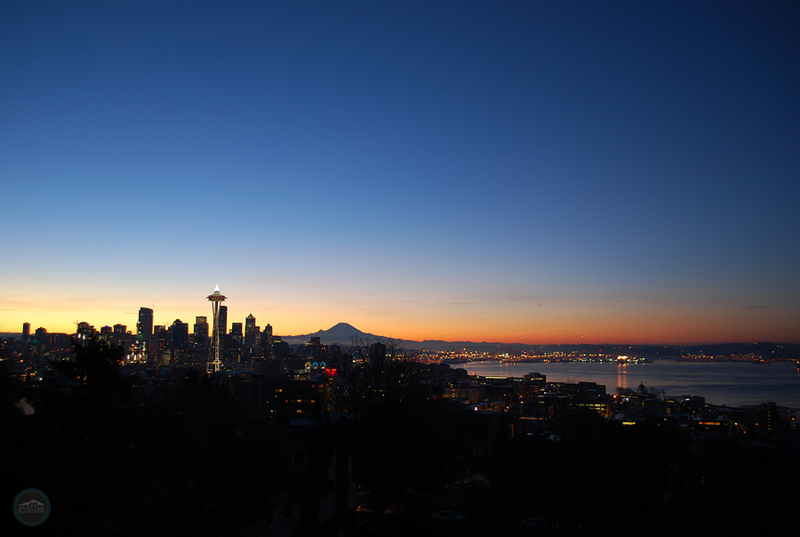 We arrived at Kerry Park about 40 minutes before sunrise to get the full show. We also stayed about 30 minutes after sunrise. It’s truly amazing to watch the sun come up over the city. 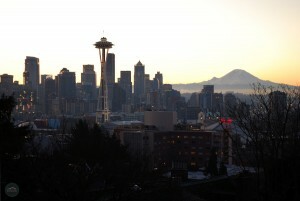 From Kerry Park you get an awesome view of the Seattle skyline, Elliott Bay, and Mount Rainier. It’s the perfect place to watch a New Year’s Day sunrise in Seattle — as long as you don’t mind being surrounded by other folks. As nice as it would be to have Kerry Park all to yourself; it’s not going to happen. Kerry Park is one of the top tourist attractions in the area, and there are plenty of people who want to watch the New Year’s Day sunrise in Seattle. With that said, there probably weren’t more than a few hundred people around at any given time. We had plenty of room to enjoy the moment together, and take plenty of pictures and video. Don’t let the crowd discourage you. Just arrive early to get a prime spot. 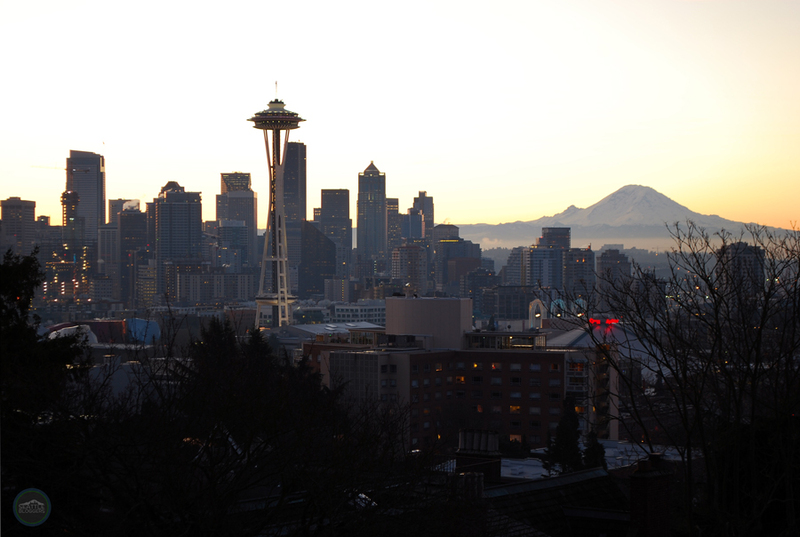 If the crowd sounds like too much, Bell Street Pier rooftop deck, Gas Works Park, Ella Bailey Park in Magnolia, and Seacrest Park in West Seattle are other cool spots you could watch a spectacular New Year’s Day sunrise in Seattle. Again, the conditions don’t always call for it, but there’s nothing better than seeing the first glimpse of sun creep over the horizon on New Year’s Day. 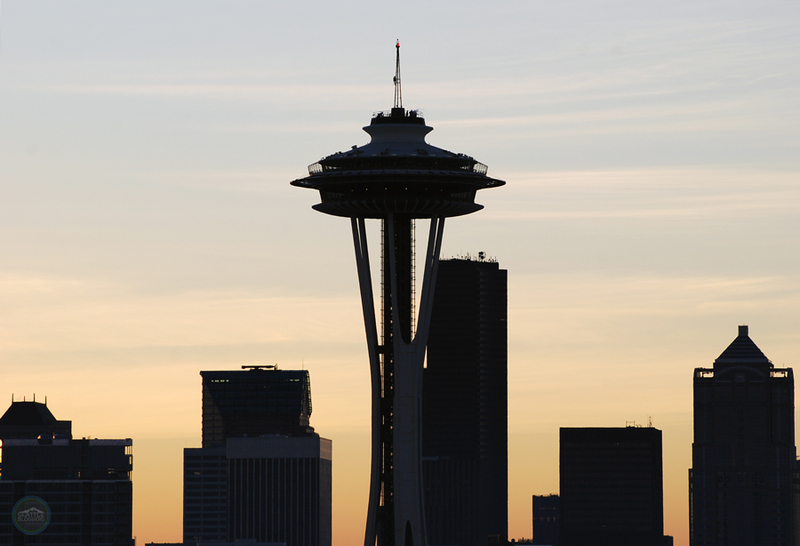 When you add the ultimate beauty of Seattle — it’s an unforgettable experience. 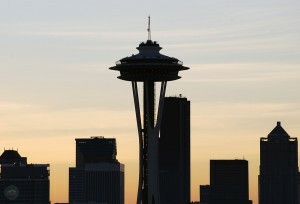 Have you ever watched a New Year’s Day sunrise in Seattle? How was your experience? We’d love to hear all about it! Please leave a comment below or connect with us on Twitter, Facebook, and Google+. Don’t forget to also check out Seattle Bloggers for more great places to check out around the Emerald City!